Get ready for a radiant healthy looking skin with a simple regime of regular exfoliation. 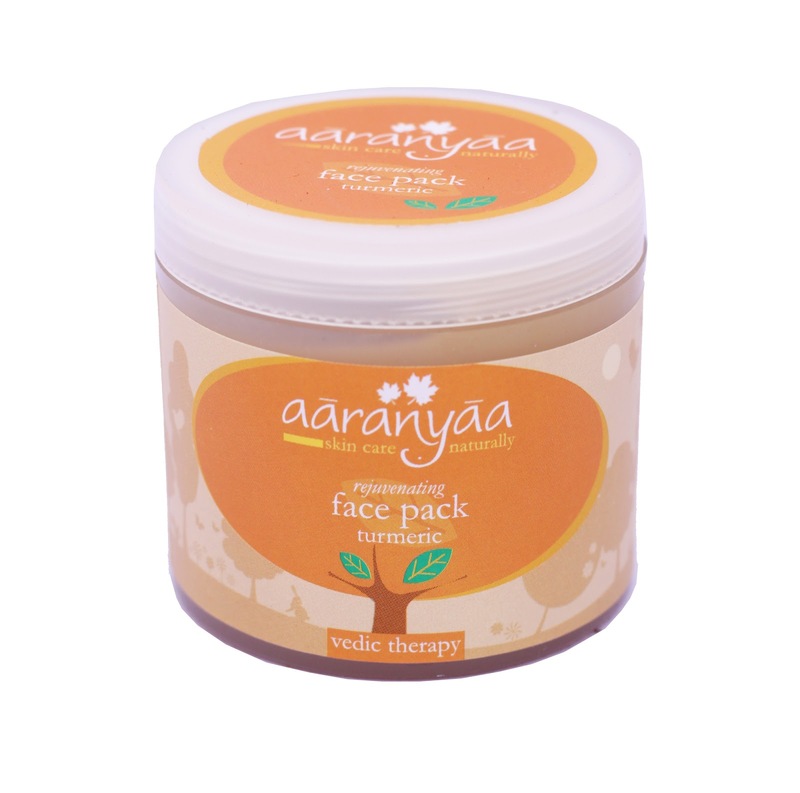 Aaranyaa- skincare naturally, a leading expert in skincare segment has come up with a range of natural face scrubs and face packs. Simple steps and few minutes - Its Done! Exfoliation allows the skin to breath better, absorbs nutrients from moisturizers more easily and reduces the risk of infections such as white heads, blackheads and acne. Choose the one that suits your skin type to add the flawless glow that you always look for your skin. Sensitive skin people should only use scrubs which have fine walnut granules as they are soft and do not cause abrasion on the skin. 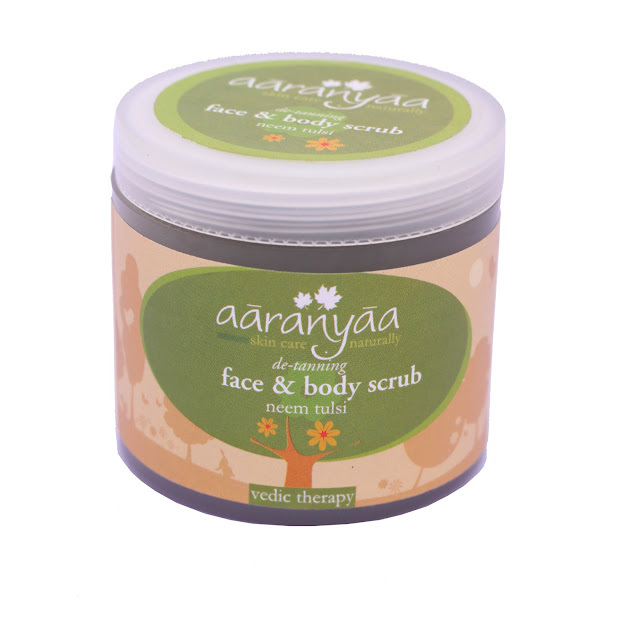 If the base of the scrub has the anti-bacterial properties such as Neem or Tulsi then it’s a boon for sensitive and oily skin which is prone to acne and pimple. On contrary, almond oil or geranium oil content in the scrub make it highly suitable for normal to dry skin as almond oil and geranium oil have a very soothing effect on dry skin, post exfoliation. 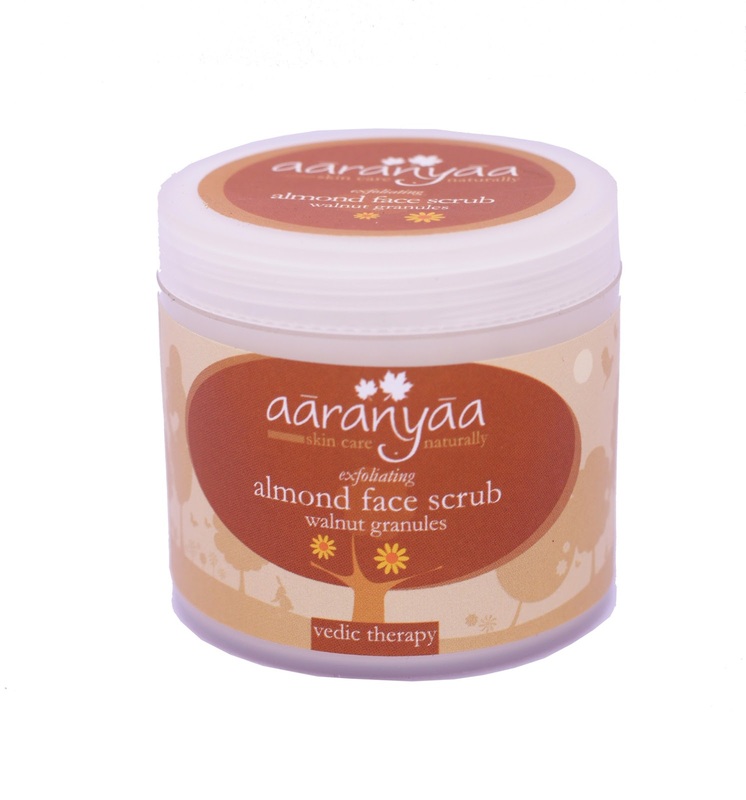 Stay all set with a beaming glow for all the special occasion with Aaranyaa- skincare naturally. 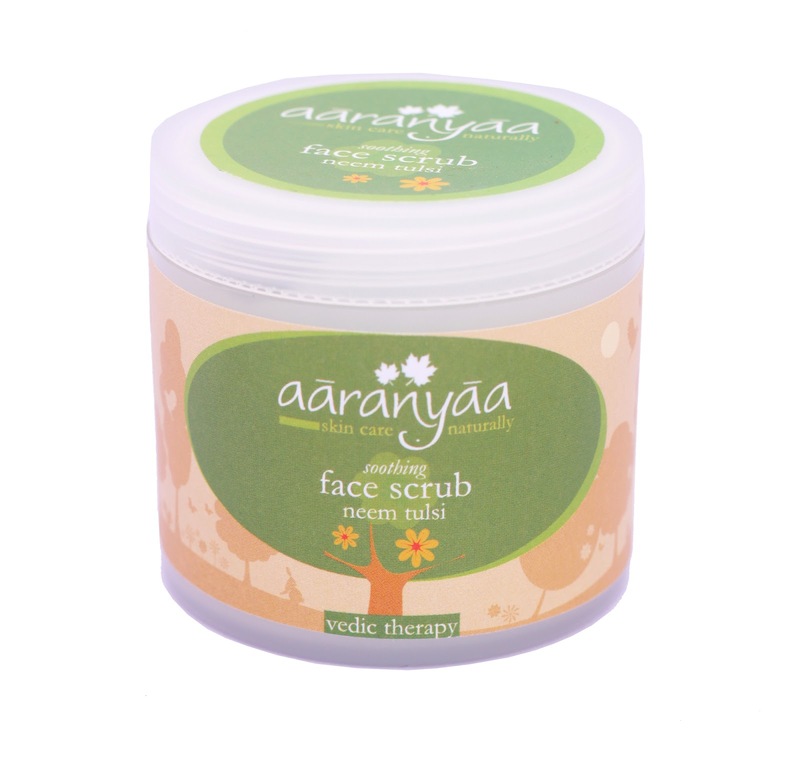 Brand aaranyaa belongs to Vedic Natural care Private Limited , company promoted by people with different skill set but having common passion that to make brand aaranyaa one of the most trusted names in skin care in the household of discerning Indian consumers. This company’s research was instrumental in bringing natural skin care products in Fabindia stores and making it a formidable brand in skin care. Company’s R&D facility is situated in Toranto , Canada and all the research is carried out there under the strict control of Dr.P.R.Singh, Head of R&D.Dr.P.R.Singh is the world re-known cosmetologist with over 40 years experience of inventing skin care products . He was head of research for 18 years with Elizabeth Arden. Aaranyaa products are world class natural skin care products , confirming to global standards. 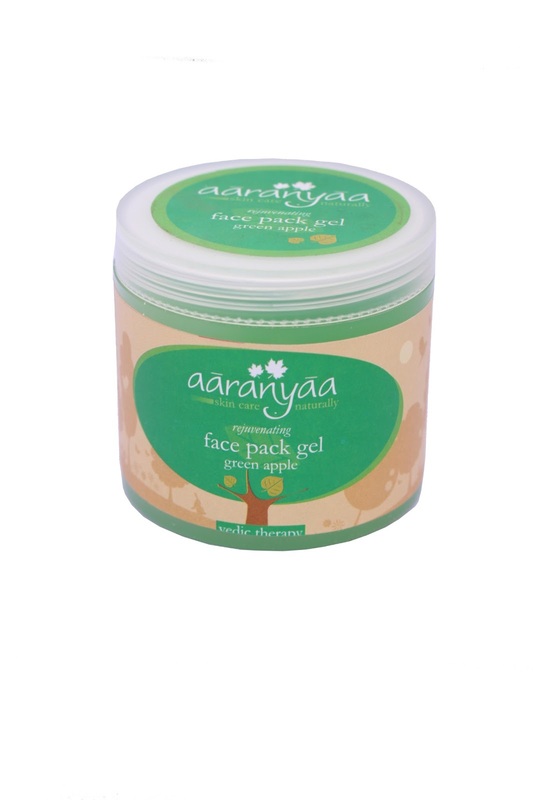 Soul of the products is the AFA base ( Amino Fruit Acid ) which makes aaranyaa products highly suitable to human skin with its more than 99 % absorption properties and light texture. With no harmful/strong synthetic chemical in it , even upon oral consumption , they don’t harm human body. All these products have been invented, keeping in mind the specific need of the various parts of human skin such as Hair, face, body and foot. Seems like a complete herbal package to rejevunate skin!! I so wanna try these. I am inviting you to join a giveaway held on my blog! I love face scrub.... I would like to try this brand!!!! It looks great to try!